Chastain is providing a Phase I study and Phase II design engineering for the Baltimore Avenue Corridor from US Route 36 to Lost Bridge Road. 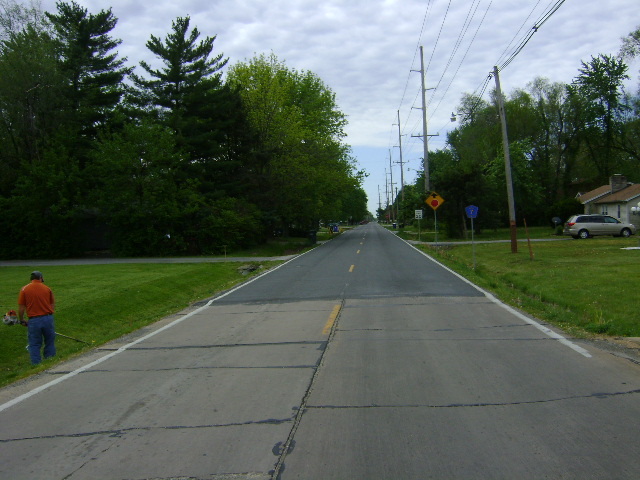 Project length is approximately 13 miles long and is a rural two-lane roadway. Improvements include the reconstruction of Baltimore Avenue to be completely re-designed to include an improved drainage system and a bike path. Scope of work includes topographic survey, establishing horizontal and vertical control, and roadway centerlines; Environmental Survey; Intersection Studies; Accident Studies; public outreach and involvement; Project Development Report; preparation of plats for possible land acquisition and construction easements; and preparation of all plan drawings, specifications and bid documents. This project is being completed using MFT funds and is anticipated for letting in early 2018.